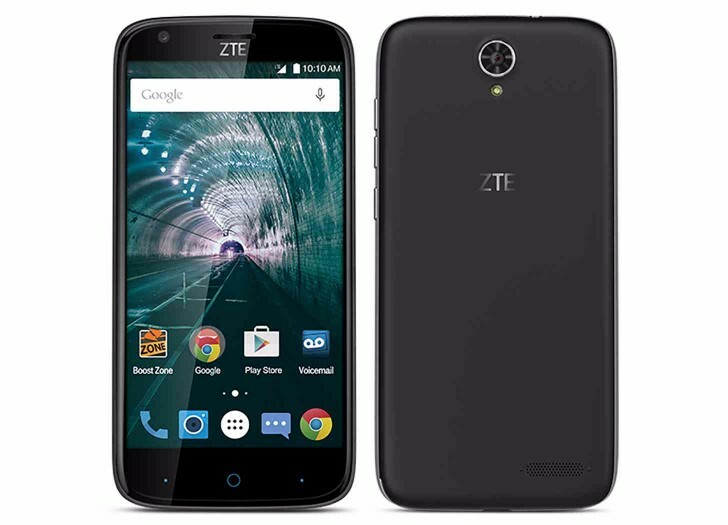 Today a new lower-midrange ZTE smartphone running Android has been launched by Boost Mobile. Almost five years after the Warp brand was first used on a phone, Sprint’s prepaid brand already has the new ZTE Warp 7 up for sale through its online store, yet the device will only make it to brick and mortar establishments starting on September 5. It comes with a 5.5-inch 720p touchscreen, a 64-bit Qualcomm 1.2 GHz quad-core processor, 2GB of RAM, 16GB of expandable storage, a 13 MP rear camera with LED flash, a 5 MP selfie snapper, LTE, and a 3,080 mAh battery with Qualcomm Quick charge support. It runs Android 6.0 Marshmallow. The ZTE Warp 7 can be yours for $99.99 plus tax, yet without any contract-signing requirements of course. Free shipping is offered. You can pair the phone with Boost’s new Unlimited Unhook’d plan, which costs $50 per month (for the first line, $30 per month for second to fifth lines) and offers unlimited talk, text, and “optimized streaming videos, gaming and music”, as well as “unlimited nationwide 4G LTE for everything else”. Nice as that may sound, make sure to read the fine print, for there are a lot of exceptions.